Ghost Audition is the fourth part of Foldalsk Sørgespill. Vilhelm Foldal, the anti hero of Henrik Ibsen's play John Gabriel Borkman, intensifies his struggle to dethrone Ibsen through Ghost Audition. 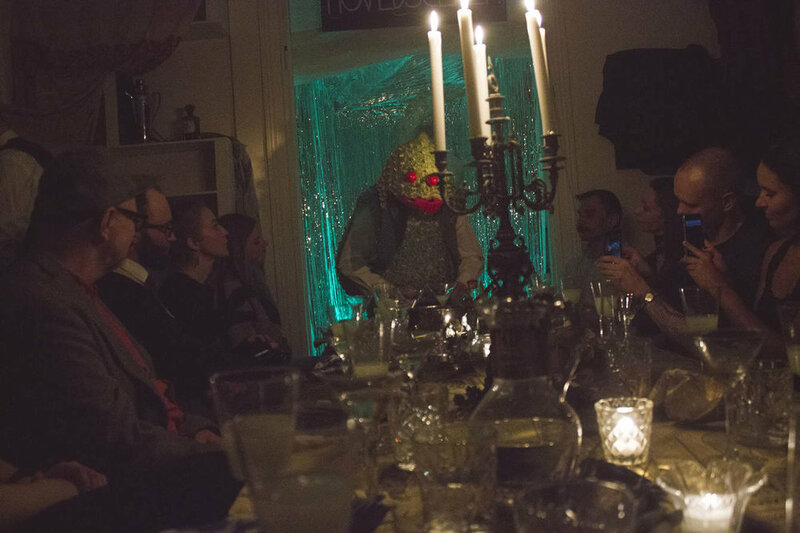 The audience is invited to enjoy a mythical cuisine during the play which is set in solicitor Hinkel’s apartment. Oslo, March 2018.